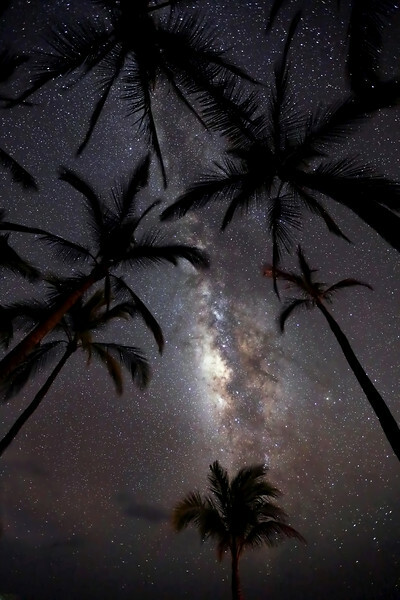 "Milky Way & Palm Trees"
I captured this image, late one night, on Hulopo'e Beach on the Island of Lana'i in Hawaii. There is very little light pollution on this island which creates some incredible night sky photography opportunities. I was walking around the beach and I was fortunate to notice this composition of the Milky Way lining up between these palm trees. A magical moment!